Vulnerable Asian states are bracing for possible pressure to back a Saudi-UAE boycott of Qatar as efforts to mediate an end to the almost month-old Gulf crisis seemingly stall and Saudi Arabia and the UAE struggle to rally credible Muslim and international support for their campaign against the recalcitrant Gulf state. Countries like Bangladesh and Pakistan, two of the most populous Muslim states, as well as India, home to the world’s fourth largest Muslim population, fear that Saudi Arabia could threaten to expel millions of migrant workers and expatriates in a bid to force them to join the boycott of Qatar. Saudi Arabia has a history of using as leverage migrant workers, whose remittances constitute the backbone of foreign currency liquidity of many supplier countries and whose Gulf jobs reduce pressure on domestic labour markets. In the most dramatic instance, Saudi Arabia expelled some 700,000 Yemenis in 1990 in retaliation for Yemen’s refusal to wholeheartedly back the US-Saudi led rollback of the Iraqi invasion of Kuwait. A similar number from a host of countries were forced to leave the kingdom in 2013 after Saudi Arabia tightened its labour law to ban foreign workers from running their own businesses and make them more dependent on the Saudi employer who initially facilitated their employment. Speaking to the BBC, former Bangladesh ambassador to Saudi Arabia Abdul Momen Chowdhury warned that “nothing is impossible” in how the kingdom might seek to build support for its campaign against Qatar. "If anyone obstructs what they want or does not agree with their opinions, they are never hesitant to act." Mr. Chowdhury said. Concern about possible pressure was fuelled by recent Saudi and Emirati statements that suggested that there was unlikely to be a quick resolution to the Gulf crisis. The statements suggested that the crisis was about much more than alleged Qatari support for militants and Islamists. Saudi Arabia, the UAE, Bahrain and Egypt have given Qatar ten days to comply with demands that include halting support for militants and Islamists, closing a Turkish military base in the Gulf state, reducing relations with Iran, and shuttering Qatar-sponsored media, including the controversial Al Jazeera television network. Qatar’s detractors have threatened further sanctions if it fails to comply with the demands. The UAE has long sought to muzzle Al Jazeera, which revolutionized the Arab media landscape since its inception in 1996 by breaking the mould of staid, heavily censored, government-controlled Arab broadcasting with more hard-hitting, freewheeling reporting, and giving air time to critical voices, Al Jazeera has over the years attracted criticism from multiple Arab autocrats as well as others, including the Bush administration, which accused it of being an outlet for Al Qaeda. A US diplomatic cable, released by Wikileaks, quoted UAE Crown Prince Mohammed bin Zayed as urging the United States in the walk up to the 2003 US invasion of Iraq to force Qatar to reign in Al Jazeera. Prince Mohammed allegedly went as far as asking a US general to bomb Al Jazeera. It wasn’t clear if the UAE official was referring to the tv network’s headquarters in Doha or its offices in Baghdad. A US missile subsequently hit an electricity generator at Al Jazeera's office in Baghdad, killing two members of its staff. The US military said at the time that Al Jazeera "was not and never had been a target." Abdulrahman al-Rashed, a prominent Saudi journalist with close ties to the government, echoed Mr. Ghorbash’s theme. Mr. Al-Rashed argued that the core of the conflict was Qatari support for opposition groups in the kingdom and other Arab countries and the fact that they were granted air time on Al Jazeera. In an ominous warning, Mr. Al-Rashed suggested that Doha could experience its own Raba’a al-Adawiya Square, a reference to a Cairo square on which hundreds of supporters of the Muslim Brotherhood were killed in August 2013 by Egyptian security forces. The demonstrators were holding a weeks-long sit in on the square to protest a Saudi and UAE-backed military coup that toppled Mohammed Morsi, a Brother and Egypt’s first and only democratically elected president, and brought General Abdel Fattah Al Sisi to power. The coup was preceded by a mass demonstrations against Mr. Morsi that, feeding on widespread criticism of his presidency, had been co-engineered by security forces with the backing of Saudi Arabia and the UAE. Saudi and UAE media have in recent weeks run interviews with little known dissident members of Qatar’s ruling Al Thani family as well as former military officers opposed to the policies of Qatari emir Sheikh Tamim bin Hamad Al Thani., suggesting that the Gulf states may support regime change in Qatar. A Saudi lobbyist, Salman al-Ansari, head of the Washington-based Saudi American Public Relation Affairs Committee (SAPRAC), said Sheikh Tamim could meet with the same fate as Mr. Morsi. The risk of increased pressure on Muslim nations as well as other trading partners of Saudi Arabia and the UAE stems in part from the fact that the campaign against Qatar has failed to generate a groundswell of support from Muslim nations and the international community. Most Muslim countries remain on the side lines while the United States and members of the international community have called for a negotiated solution. Saudi Arabia and the UAE’s failure to garner widespread support raised questions about the return on investment of Saudi Arabia and the UAE’s long-standing checkbook diplomacy and the kingdom’s massive financial support for Sunni-Muslim ultra-conservative educational, religious and cultural institutions and political groups across the globe that was designed to enhance soft power. Except for Egypt, no major Arab or Muslim state has joined the boycott. UAE officials repeatedly warned in recent days that Qatar’s distractors would take additional punitive steps against the Gulf state if it failed to cave in to their demands. Those steps could include not only pressure on states dependent on export of labour but also measures against businesses countries that fail to grant support. “One possibility would be to impose conditions on our own trading partners and say you want to work with us then you have got to make a commercial choice,” Mr. Ghobash said. It was not clear if the ambassador was also referring to the commercial interests of Muslim as well as non-Muslim powers that could include the United States, Europe, and China. Some industries are already feeling the heat without Saudi Arabia and the UAE increasing pressure. Although not yet confronted with a demand to halt all business with Qatar, shipping companies no longer can load vessels with goods destined for the Gulf state as well as its detractors that dock at ports on both sides of the Gulf’s political divide. Instead, raising costs, goods destined for Qatar have to be shipped on separate vessels that only head for the Gulf state. In another bid to tighten the noose around Qatar’s neck, Saudi Arabia appeared to be attempting to persuade world soccer body FIFA to deprive the Gulf state of its 2022 World Cup hosting rights. SAPRAC, the Saudi lobby group, this week accused Qatar of simultaneously supporting sports and terrorism. In a paper, SAPRAC reiterated the long-standing controversy about the Qatari World Cup, including questions about the integrity of its bid and criticism of its controversial labour regime. In doing so, the kingdom seemed to be ignoring at its own peril the principle that people who live in glass houses should not throw stones. Legitimate criticism of Qatar’s controversial labour regime is equally valid for that of Saudi Arabia. Dr. James M. Dorsey is a senior fellow at the S. Rajaratnam School of International Studies, co-director of the University of Würzburg’s Institute for Fan Culture, and the author of The Turbulent World of Middle East Soccer blog, a book with the same title; Comparative Political Transitions between Southeast Asia and the Middle East and North Africa, co-authored with Dr. Teresita Cruz-Del Rosario; and three forthcoming books, Shifting Sands, Essays on Sports and Politics in the Middle East and North Africa as well as Creating Frankenstein: The Saudi Export of Ultra-conservatism and China and the Middle East: Venturing into the Maelstrom. A three-week-old, Saudi-UAE-led diplomatic and economic boycott of Qatar threatens to complicate newly promoted Saudi Crown Prince Mohammed bin Salman’s reform plans and undermine the Gulf Cooperation Council (GCC), the Middle East’s most successful regional association. Designed to impose Saudi Arabia and the UAE ‘s will on a recalcitrant Qatar, the boycott suggests that power politics irrespective of cost trump the need for reforms in Prince Mohammed’s world. The stakes for 31-year old Prince Mohammed and Saudi Arabia’s ruling Al Saud family are high. 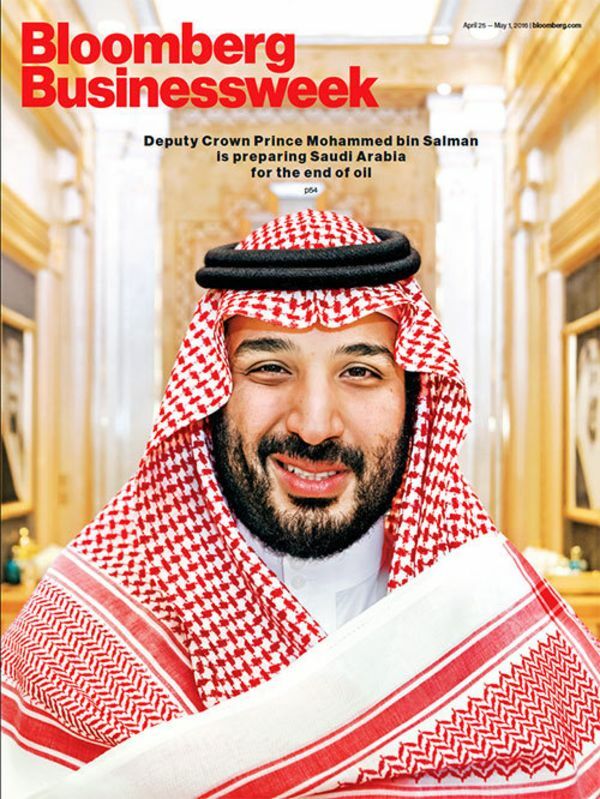 Failure to deliver sustainable economic and social reforms could undermine the prince’s popularity whose age has allowed him to connect with significant segments of the kingdom’s youth, who account for two thirds of the population, in ways his predecessors could not. Irrespective of how the Gulf crisis is resolved, it already has damaged institutional as well as informal building blocks of a restructuring of the Saudi as well as the region’s economy. The GCC that groups Saudi Arabia, Qatar, the UAE, Kuwait, Oman and Bahrain, has suffered a body blow that it may not survive. Continued Qatari membership is in doubt with the Gulf state’s refusal to accept Saudi-UAE demands that would end its at times provocative policies and render it a vassal of the kingdom. Kuwait and Oman are likely, in the wake of the crisis, to be more reticent about further regional integration, having long charted relatively independent, albeit less boisterous, courses for themselves. The fragility of GCC unity beyond Qatar was already on public display three years ago when then US Secretary of Defense Chuck Hagel backed a Saudi push for greater military integration. In a rare public statement against Gulf union, Omani Minister of State for Foreign Affairs Yousef bin Alawi al-Ibrahim, a one-time representative of a separatist movement, rejected the proposal in no uncertain terms. "We absolutely don’t support Gulf union. There is no agreement in the region on this… If this union materializes, we will deal with it but we will not be a member. Oman’s position is very clear. If there are new arrangements for the Gulf to confront existing or future conflicts, Oman will not be part of it," Mr. Al-Ibrahim said. The Omani official argued that the Gulf’s major problems were internal rather than external and should be the region’s focus. Earlier, Ahmed al-Saadoun, at the time speaker of the Kuwaiti parliament, also rejected a Gulf union, saying that as a democracy Kuwait could not unite with autocratic states. This week, UAE State Minister for Foreign Affairs Anwar Gargash suggested that Qatar and the GCC would have to part ways if the Gulf state refused to accept demands by its detractors that effectively emasculate it and put it under guardianship. It’s unlikely that Kuwait and Oman would back such a move, which could split the six-nation association down the middle. Kuwait responded to the crisis by seeking to mediate while Oman helped Qatar circumvent the boycott by allowing Qatari vessels to dock at its ports. Complicating Prince Mohammed’s reform plans, laid out in a document entitled Vision 2030, is the kingdom and the UAE’s handling of the crisis as well as a renewed 20 percent drop in oil prices since January. The crisis, beyond the balance between power politics and economic necessity, raises questions about key issues needed to inspire confidence in an effort to diversify the kingdom’s economy, streamline its bloated public sector, and strengthen the private sector. Sanctions imposed on Qatar challenge concepts of equitable rule of law, the principle of freedom of movement, security of private ownership, and a modicum of freedom of expression in a region in which that basic right is already severely restricted. The sanctions include a ban on travel to Qatar; ordering Saudi, Emirati, and Bahraini nationals to leave the Gulf state; expelling Qatari nationals; shuttering offices of Qatari companies and ejecting Qatari-owned assets, including thousands of Qatari camels and sheep; prompting expelled Qataris to fire sell assets held in the Gulf states opposed to it; and closing airspace for flights to and from Doha. Restrictions on freedom of expression were taken to new heights with a ban on expressions of sympathy for Qatar that in the UAE could earn someone sporting an FC Barcelona jersey with the logo of Qatar Airway, the sponsor of the Spanish soccer giant, 15 years in prison. Space for creativity, a prerequisite for building a 21st century knowledge economy, was further cast in doubt by the Gulf states’ unprecedented effort to force closure of more freewheeling Qatari media, including the controversial Al Jazeera television network. As the crisis drags on, concern is likely to rise among the Gulf’s trading partners, oil and gas customers, and migrant labour suppliers. Those concerns are reinforced by fears that protagonists on both sides of the Gulf divide are likely to emerge from the crisis bruised and with their reputations tarnished irrespective of how the dispute is resolved. A survey of young Saudi men conducted by Mark C. Thompson, a Middle East scholar at King Fahd University of Petroleum and Minerals laid out what is at stake for Prince Mohammed. Mr. Thompson concluded that youth in the kingdom were willing to buy into Vision 2030’s concept of providing economic deliverables in exchange for acceptance of an absolute monarchy that limits basic freedoms. “There was consensus amongst these young men that reducing unemployment, providing affordable housing and decent healthcare should be the government’s ‘top priorities’ as these issues are considered the most contentious and problematic in wider society: as one young man argues ‘basically if we have these then everything else is satisfactory’,” Mr. Thompson said. The scholar noted however that initial enthusiasm for Prince Mohammed’s vision “has evaporated amongst some young men, who complain that whilst they were hopeful when the Vision was launched, as the months have passed they see few tangible results.” Mr. Thompson argued that performance was crucial because Prince Mohammed’s reform plans, the boldest to date, come on the back of earlier promises of change by Saudi leaders that never materialized. Further undermining confidence is the fact that Prince Mohammed’s plan involves a unilateral rewriting of the kingdom’s social contract that offered a cradle-to-grave welfare state in exchange for political fealty and acceptance of Sunni ultra-conservatism’s austere moral and social codes. “The problem is that Vision 2030 has become synonymous with cutting salaries, taxing people and stop-ping beneﬁts,” Mr. Thompson said. Saudis have, since the introduction of cost-cutting and revenue-raising measures, seen significant rises in utility prices and greater job uncertainty as the government sought to prune its bloated bureaucracy and encourage private sector employment. Slashes in housing, vacation and sickness benefits reduced salaries in the public sector, the country’s largest employer, by up to a third. ‘I was an intern at a SANG (Saudi Arabian National Guard) hospital and most people there were angry about the Vision because their salaries were being cut. The soldiers around here are also angry because they work all the time. It’s unfair to take SAR 1000 ($266.50) from a 5,000 salary. My military father is angry because most of his salary and allowances have been cut. Some people’s incomes have already been reduced by 30% (except if you are a soldier in the south). It seems that the government wants to solve the current economic problems by force. They are doing this by raising taxes but not explaining anything to us. Prices keep rising regardless!” Mr. Thompson quoted a medical student as saying. A foiled attempt this month by the Islamic State to attack the Grand Mosque in the holy city of Mecca was likely an effort to undermine Prince Mohammed’s reform plans that involve a loosening of Sunni Muslim ultra-conservativism’s strict and austere social codes and morals. A siege of the mosque in 1979 prompted the government to give the kingdom’s ultra-conservative religious establishment greater control of public mores. The kingdom’s religious establishment has criticised Prince Mohammed’s social liberalization effort, including introduction of modern forms entertainment, but largely endorsed his economic plans. Social change has been embraced by a significant swath of Saud Arabia’s youth. A 24-year-old speaking to The Guardian, cautioned however that ultra-conservatism maintains a hold on significant numbers of young people. “You know that the top 11 Twitter handles here are Salafi clerics, right? We are talking more than 20 million people who hang on their every word. They will not accept this sort of change. Never,” the youth said. Dr. James M. Dorsey is a senior fellow at the S. Rajaratnam School of International Studies, co-director of the University of Würzburg’s Institute for Fan Culture, and the author of The Turbulent World of Middle East Soccer blog, a book with the same title, Comparative Political Transitions between Southeast Asia and the Middle East and North Africa, co-authored with Dr. Teresita Cruz-Del Rosario and three forthcoming books, Shifting Sands, Essays on Sports and Politics in the Middle East and North Africa as well as Creating Frankenstein: The Saudi Export of Ultra-conservatism and China and the Middle East: Venturing into the Maelstrom. Cuando la semana pasada Arabia Saudí y sus aliados rompieron relaciones con Qatar, el mundo del fútbol puso la mirada con temor en 2022, año en que corresponde al pequeño emirato albergar el Mundial. La FIFA respondió con una breve declaración en la que se limita a asegurar que "está en contacto de forma regular" con los organizadores. James M. Dorsey (Lynn, EE UU, 1951), experto en fútbol en Oriente Medio y el norte de África, no cree que la crisis diplomática suponga la puntilla a la ya cuestionada elección de Qatar como sede, aunque advierte de que Riad podría lanzarse a utilizar el asunto como arma arrojadiza en el marco del conflicto diplomático. "La crisis del Golfo puede durar, pero es poco probable que lo haga cinco años", señala por correo electrónico. Antes de la ruptura de relaciones, Dorsey había hablado con EL PAÍS en Sevilla, donde participó en un foro en la Fundación Tres Culturas, sobre la importancia estratégica que Qatar concede al deporte y sobre el carácter político y de identidad que reviste el fútbol, aún con más intensidad, en el mundo árabe-musulmán y en Israel. Conoce bien el tema: trabajó durante tres décadas como periodista desde Riad, Estambul o Beirut para medios como The Wall Street Journal o The Washington Times. Ahora es investigador sénior de la Escuela de Estudios Internacionales S. Rajaratnam de la Universidad Tecnológica Nayang de Singapur, dirige el blog The Turbulent World of Middle East Soccer (El turbulento mundo del fútbol de Oriente Medio) y el año pasado publicó un libro homónimo. Qatar Airways en la camiseta del Barça, Fly Emirates en la del Real Madrid, el estadio del Arsenal rebautizado como Emirates, el Paris Saint Germain en manos de un jeque catarí... Dorsey no se rasga las vestiduras porque los países del Golfo se hayan lanzado en los últimos años al mundo del deporte -y del fútbol en particular- a golpe de billetera. "Es marketing, pero no en el sentido comercial, sino en términos de reputación, de soft power. La diplomacia ha evolucionado, ya no es del Ministerio de Exteriores de un país al de otro. Ahora es pública, es cultural. El fútbol es una forma de llegar a toda una comunidad a la que, como país, nunca llegarías", explica. Dorsey distingue entre “inversores estratégicos”, que adquieren o patrocinan un equipo por motivos que van más allá de lo comercial (como Mansour bin Zayed, propietario del Manchester City y hermano del presidente de Emiratos Árabes Unidos, o el fondo Qatar Investment Authority, que ostenta la totalidad del Paris Saint-Germain), y "algunos ricos, sean o no miembros de la familia real, que compran un club y luego se aburren o les va económicamente mal", caso del jeque Abdullah Bin Nasser Al Thani con el Málaga. Qatar: ¿hostigamiento o preparativos de la primera guerra de Trump? Para Qatar, matiza, no se trata solo de marketing. "Se toma el asunto mucho más en serio que Bahréin o Emiratos Árabes Unidos, que son bastante oportunistas al respecto. Está tratando de convertir el fútbol en parte de su identidad nacional. Tiene un enfoque mucho más estratégico porque no es solo un tema de reputación, sino parte de su estrategia de seguridad y defensa. Es un país minúsculo, situado entre Arabia Saudí e Irán, que son amenazas potenciales. Los cataríes piensan en cómo el resto del mundo se lanzó a liberar Kuwait cuando fue invadido por Irak en 1991 y eso es lo que quieren replicar", argumenta. La elección de Qatar -la candidata peor valorada en el informe técnico- por la FIFA en 2010 para albergar el Mundial de 2022 ha sido criticada por motivos laborales(los trabajadores que levantan las sedes viven en condiciones atroces y sufren abuso laboral, según Amnistía Internacional), deportivos (el país carece de tradición futbolística), climáticos (en verano las temperaturas superan los 40 grados) y de procedimiento (algunos medios han publicado que la votación estuvo amañada). Dorsey, en cambio, defiende la decisión por considerar que el nombramiento ha impulsado cambios en el país y porque "en un contexto político en el que el mundo musulmán se siente atacado y víctima de la islamofobia, la retirada sería muy mal recibida". "El debate sobre Qatar se ha calmado. Mientras sea así, hay poco riesgo, pero esto puede cambiar si los procedimientos legales en curso en EE UU, Suiza, Francia o en algún otro sitio sacan a la luz nuevos hechos o si Arabia Saudí y/o Emiratos Árabes Unidos intentan reavivar el debate como parte de la disputa con Qatar y presionan a la FIFA a posicionarse", agrega por correo electrónico sobre la reciente crisis diplomática. “El fútbol ha tenido un papel político en todo el planeta, pero siempre ha sido en un contexto muy específico y un momento muy concreto. En el norte de África y en Oriente Medio, en cambio, el fútbol ha desempeñado un papel fundamental en cada fecha clave de su historia. Su ADN es político", explica Dorsey. Luchas anticoloniales, batallas sindicales, protestas opositoras... en los estadios de la región siempre se ha jugado más que un duelo once contra once. Como en los años 50, cuando varios jugadores de origen argelino huyeron clandestinamente de la Francia colonial para fundar el equipo del Frente de Liberación en su país natal. O cuando, una década después, Nasser puso a un comandante general al frente de Al Ahly (club cairota fundado por estudiantes contrarios a la colonización británica) a causa de sus malos resultados, que se debatían en el Consejo de Ministros. O el caso de Palestina, donde la selección nacional de los territorios ocupados es hoy una expresión de la reivindicación nacional y donde, un siglo antes, el movimiento sionista creaba clubes reflejo del surgimiento del "nuevo judío", musculoso y deportista. "Tanto en el mundo árabe, como en Turquía, Irán e Israel, los equipos fueron fundados por asociaciones políticas o ideológicas", recuerda el experto. El fútbol ha conservado en la región la dimensión política y ejercido en algunos casos como espacio de disidencia "ante la falta de otros lugares públicos para airear la frustración y el enfado", afirma Dorsey antes de resumirlo en una frase: "Solo hay dos lugares que una autocracia árabe no controla: la mezquita y el estadio de fútbol". A list of 13 conditions for lifting the Saudi-UAE led embargo of Qatar handed to the Gulf state this week by Kuwaiti mediators offers a first taste of newly-promoted Saudi Crown Prince Mohammed bin Salman’s foreign policy approach that if endorsed by the international community would call into question fundamental principles governing international relations. The demand, that if accepted by Qatar would turn the Gulf state into a Saudi vassal, were unlikely to facilitate a quick resolution of the three-week-old Gulf crisis. In fact, they may complicate a resolution that would allow all parties to claim victory and save face. Saudi Arabia and the UAE have reportedly given Qatar ten days to comply with their demands, according to the list that was reviewed by The Associated Press and The Wall Street Journal. Gulf states have yet to comment on the list. It was also not clear what steps the two states might take if Qatar rejected the demands. Qatar has insisted that it would not accept any demands that compromised its sovereignty or amounted to interference in its internal affairs. It has also denied various Saudi and UAE allegations against it. The Gulf state said further that it would only negotiate an end to the crisis once the embargo had been lifted. The demands go far beyond the declared aim of Qatar’s protractors that it halts its support of jihadists and Islamists. Acceptance of the demands would not only compromise its political sovereignty but could also jeopardize its economic independence if Iran were to retaliate for Qatari compliance. Compliance would further create a dangerous precedent for freedom of the press and expression. The United States and other democracies would likely find it difficult to support shuttering of Qatari-funded media, including the Al Jazeera television network. Al Jazeera revolutionized the Arab media landscape by introducing more free-wheeling, critical news reporting and debate that has irked autocratic Arab leaders for more than two decades. The network drew the ire of Saudi Arabia and the UAE for its support of the 2011 popular Arab revolts that brought Islamist forces, including the controversial Muslim Brotherhood, to the fore. Saudi Arabia and the UAE have gone to great length to roll back the fallout of the revolts. Similarly, the two Gulf state’s demand that Qatar reduce the level of, if not break off, its diplomatic relations with Iran could endanger the Gulf state’s economy that is dependent on its oil and gas exports. Qatar shares with Iran ownership of the world’s largest gas field and cannot afford an open conflict with the Islamic republic. Saudi Arabia and the UAE are demanding that Qatar shut down diplomatic posts in Iran, expel members of Iran’s elite Revolutionary Guard, and only conduct trade and commerce with Iran in compliance with US sanctions that are not internationally binding. The demands put Qatar in a separate category from others in the six-nation Gulf Cooperation Council, including the UAE, Kuwait and Oman, that maintain diplomatic relations with Iran. The UAE, which has a territorial dispute with Iran over three islands in the Gulf, is home to a large Iranian community and serves as an important economic hub for the Islamic republic. Similarly, acceptance of a demand that Qatar close a military base of NATO member Turkey in the Gulf state would also undermine the Gulf state’s sovereignty. Turkish Defense Minister Fikri Isik said his country had no plan to close its base in Qatar. Other NATO members have military bases in the Gulf, including the United States’ largest military facility in the Middle East in Qatar, and British and French bases in the UAE. Turkey, like Qatar, supported the 2011 revolts as well as the Brotherhood. Saudi Arabia and the UAE are further demanding that Qatar cut ties to a host of organizations ranging from jihadists like Al Qaeda and the Islamic State to Lebanon’s Hezbollah and the Muslim Brotherhood. Qatar has denied contacts with the jihadists but has been open about its relations with non-violent Islamists, including the Brotherhood and Palestinian group Hamas. US Secretary of State Rex Tillerson last week suggested that banning the Brotherhood was all but impossible. Speaking to the House Committee on Foreign Relations, Mr. Tillerson cautioned that designating the Brotherhood, with an estimated membership of 5 million, as a terrorist organization would “complicate matters” with America’s relations with foreign governments. “There are elements of the Muslim Brotherhood that have become parts of governments. Those elements… have done so by renouncing violence and terrorism,” Mr. Tillerson said. He said groups affiliated with the Brotherhood that commit violence had already been added to the US terrorism list. In a sign that compliance with the demands would not restore confidence among Gulf states, Saudi Arabia and the UAE together with Egypt and Bahrain insisted that Qatar expel their citizens, including those who had adopted Qatari nationality, and no longer offer their nationals citizenship as a way of ensuring that the Gulf state not meddle in their internal affairs. They also demand that Qatar be audited for a period of ten years. In a bid to garner US support for their demands, Saudi Arabia and the UAE insisted that Qatar stop funding groups designated as terrorist by the United States, extradite people wanted by the kingdom, the Emirates, Bahrain and Egypt on charges of terrorism, and provide details of its funding of Saudi and other Arab dissidents. Qatar’s distractors differ with the Gulf state as well as the United States on which groups and individuals classify as terrorists. Saudi Arabia and the UAE have declared the Muslim Brotherhood a terrorist organization, the United States has not. Bahrain’s Sunni minority government relies on support of members of the Brotherhood. Things get even more complicated when it comes to Hamas, an offshoot of the Brotherhood that controls the Gaza Strip. Hamas has been designated a terrorist organization by the US, the EU and Israel but not the United Nations, the arbitrator of which designations are internationally binding. Egypt, financially dependent on Saudi Arabia and the UAE, this week came to Hamas’ aid by supplying Gaza’s only power plant with fuel. The plant was shut in April because of a dispute between Hamas and the Palestine Authority (PA) on the West Bank headed by President Mahmoud Abbas. The Egyptian supply came as Israel reduced its supply of electricity to Gaza at the request of the PA. The Egyptian move also came as a Hamas delegation visited Cairo not only for talks with authorities but also with Mohammed Dahlan, a Abu Dhabi-based, UAE backed former Palestinian security chief who has ambitions to succeed Mr. Abbas as the leader of the Palestinians. Mr. Dahlan advises UAE strongman Crown Prince Mohammed bin Zayed on issues of national security. A deal between Hamas and Mr. Dahlan, who is at odds with Mr. Abbas and cannot return to the West Bank, would offer him a way back into Palestine. In sum, Saudi Arabia and the UAE’s demands constitute an effort to rewrite the rules of international relations that uphold the sovereignty of nations and their right to graft their own policies. They effectively would put Qatar under guardianship and undermine the principle of freedom of expression and the media. The demands complicate efforts by the United States and others to resolve the Gulf crisis. They reopen an unresolved debate about the definition of terrorism and the ability of countries to adopt independent decisions on policies regarding media, citizenship, diplomatic relations, and economics. In short, at stake in the Gulf crisis is far more than the fate of a tiny Gulf state. Last month the Ghanaian footballer Sulley Muntari left the pitch in disgust. During a match in Italy’s top league he was racially abused by a section of fans. He complained to the referee expecting a sympathetic ear, but instead was shown a yellow card. Fan-to-player racism is commonplace in professional football. Now football’s international governing body FIFA has introduced a new rule it hopes will stop racism on the terraces for good. Different governing bodies have made gestural efforts to kick racism out of the game: the ‘No to Racism’ video, produced by the European football association UEFA and shown during Champions League matches, featured football’s biggest superstars condemning racial abuse. Yet, as the Muntari case and countless others show, these campaigns are yet to succeed. FIFA’s new scheme is currently on trial at the Confederations Cup. During the tournament referees will be able to stop and suspend matches if they see or hear racist behaviour from fans.The order sounds simple enough: the match is abandoned, the supporters are unhappy, they root out the bad apples in their ranks and the abuse stops. FIFA President Gianni Infantino has called the changes “ground-breaking”. However, in practice this type of collective punishment would be difficult to enact. Referees already experience massive pressure when making decisions on the pitch. Would they really call off a match potentially facing the wrath of thousands, even millions of fans? James M. Dorsey, author of ‘The Turbulent World of Middle East Soccer’, told The World Weekly that while he applauds the sentiment, it is “an empty gesture”. Dr. Dorsey refers to FIFA’s “serious reputation problems”, sullied after numerous corruption scandals that saw its last president, Sepp Blatter, face criminal charges. The organisation, officially apolitical, is “tying itself up in knots” in an attempt to “look good”, Dr. Dorsey says. Beyond corruption scandals, FIFA has come under fire from human rights groups for awarding the World Cup to known rights abusers. In preparation for the 2022 tournament in Qatar hundreds of foreign labourers have died in the construction of stadiums. Dr. Dorsey points to this hypocrisy: “To not be racially abused is a human right.” Looking at the abuse of workers in Qatar and Russia, it seems FIFA has a morality limit. Gulf Crisis: Rewriting the Political Map? Crisis in the Gulf: Escalation or negotiation?